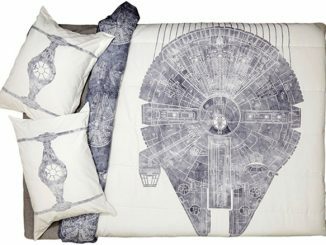 Awesome bedding, like this Millennium Falcon Duvet Cover & X-Wing Pillowcase Set can transform your bedroom with a new style. 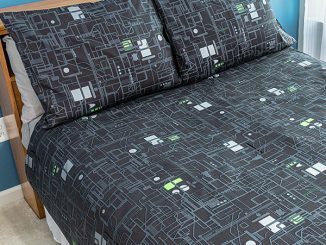 It may not be as impressive as switching out your bed to the Millennium Falcon Bed or X-Wing Bed, but it is a whole lot cheaper and easier. Two Star Wars logo pillow shams are included with the Millennium Falcon Duvet Cover, which is sized to fit full and queen size mattesses. 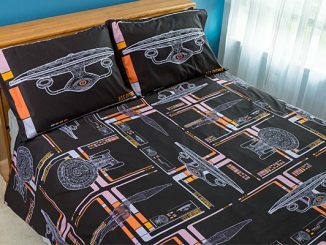 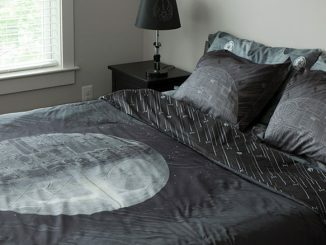 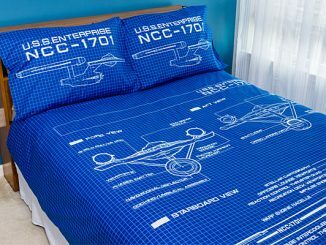 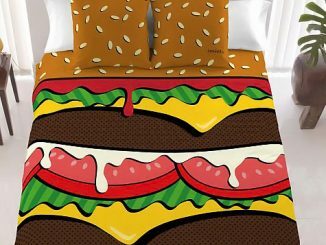 The X-Wing pillowcase set is sold separately, but you have to admit it goes really well with the duvet and shams. 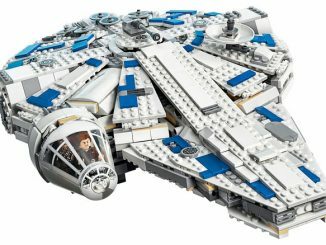 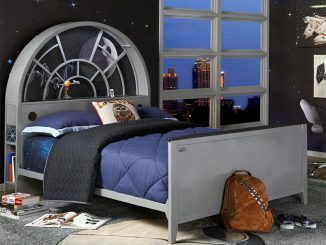 It’s the ship that made the Kessel Run in less than twelve parsecs – and now it’s here to safely pilot you to dream land. 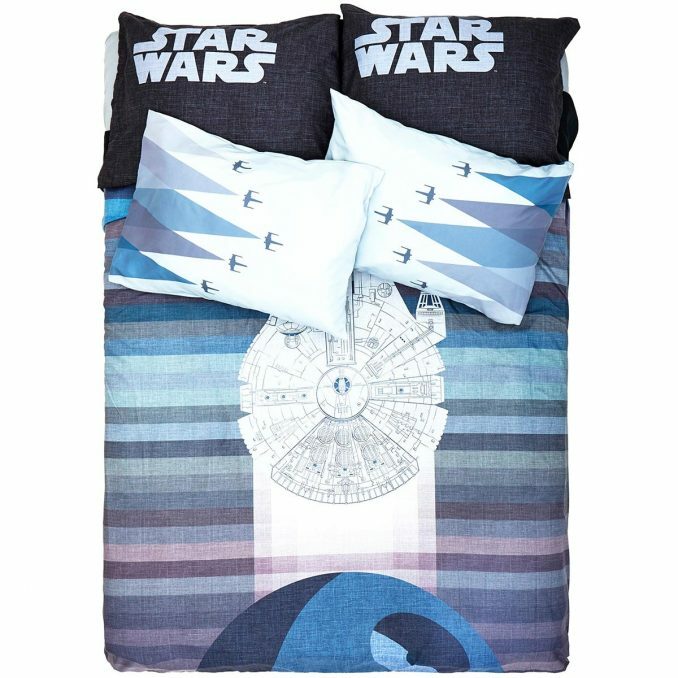 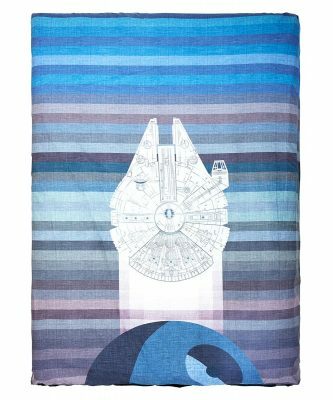 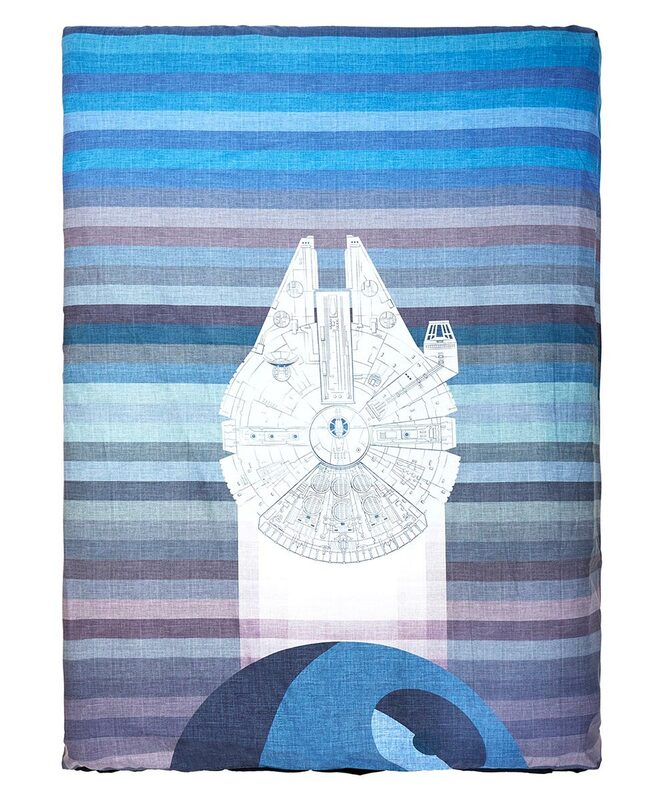 This blue tone duvet cover and matching shams features a Millennium Falcon design guest starring the Death Star. 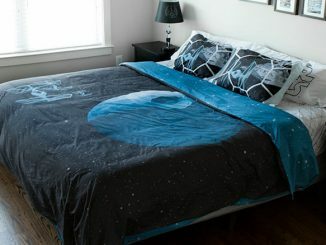 You love it, we know. 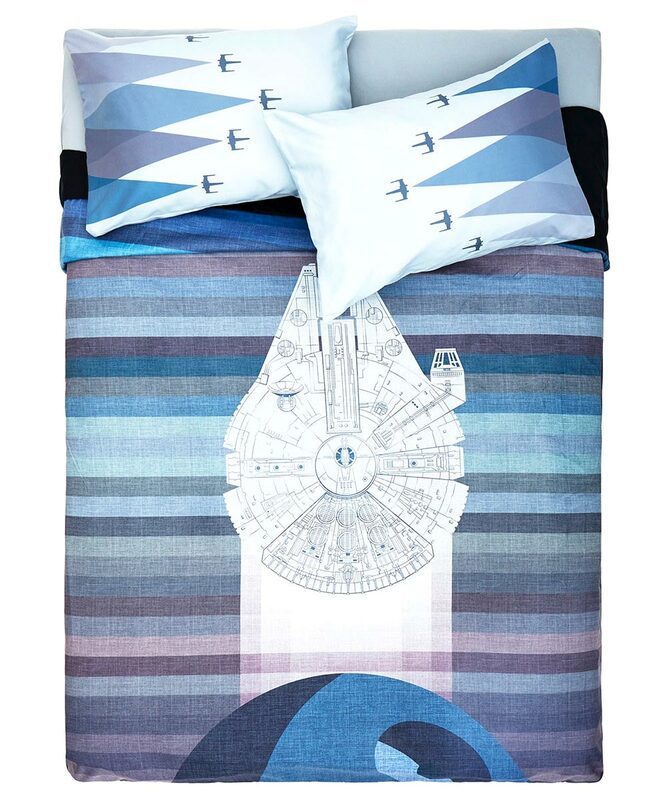 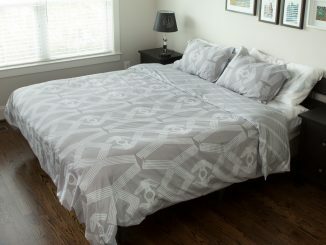 The Star Wars Millennium Falcon Duvet Cover comes with a full/queen duvet measuring and two shams measuring 24″ x 30″. 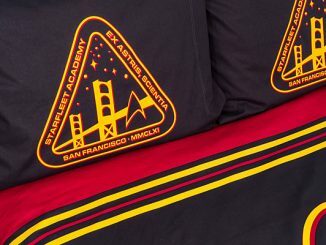 Catch a flight to planet sleep with these X-Wing pillowcases from Star Wars. 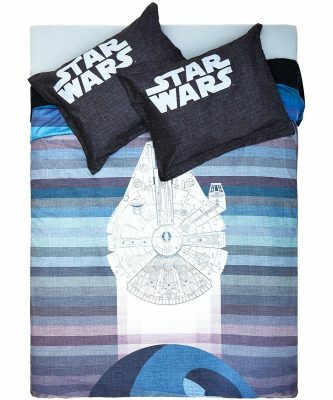 You love them, we know. 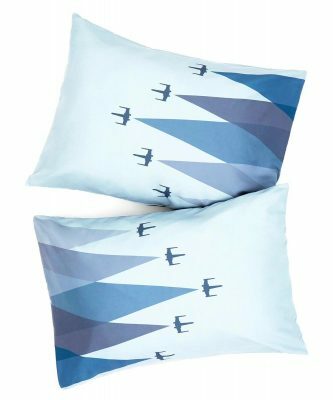 These 100% polyester microfiber pillowcases measure 24″ x 30″.